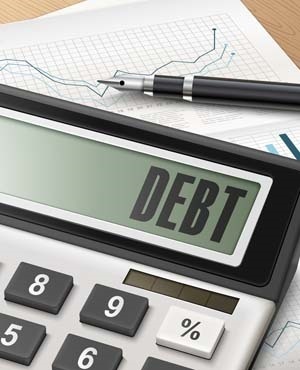 Cape Town – South Africa’s municipalities are drowning in debt and owe their creditors a total of R43bn. This severely threatens the livelihood of businesses that supply services to them, members of Parliament heard on Thursday. National Treasury officials Wendy Fanoe, chief director of inter-government policy and planning, and Majileng Mgqaleni, deputy director general of intergovernmental and fiscal relations were briefing the portfolio and select committees on appropriations on the division of revenue bill. The briefing was largely dominated by reports of sordid affairs local government level, which according to the National Treasury officials will only be resolved through “political will”. Mgqaleni said financial allocations to local government have grown faster than the other spheres of government. However over the state's 2018 medium term expenditure framework period, municipalities’ debt service costs were the fastest growing category of spending. “Municipal debt continues to grow and is exacerbated by a culture of non-payment,” she said. Outstanding debt in terms of bulk electricity amounts to R16bn, bulk water at R6.8bn and debt in terms of trade creditors has reached R11.9bn. To make matters worse, most municipalities have an operational deficit after their financial commitments have been considered. These municipalities adopt unfunded budgets, overstate their expenditure and don’t report truthfully on their debt collection. According to Mgqaleni, while some of these municipalities present apparent surplus budgets, there are in fact no surpluses. In addition, governance at these municipalities have been weak with inadequate leadership and guidance, she added. Mgqaleni said the levels of political leadership (national government, provinces and Parliament) should not only exercise oversight in terms of municipalities, but also be willing to enforce consequences for municipalities that consistently breach the legal frameworks.